Marvin Gaye's Never-Released 1972 TamlaMotown Album! LOS ANGELES - March 21, 2019 - PRLog -- elebration of Marvin Gaye's 80th birthday on April 2, Motown/UMe will release his never-issued 1972 Tamla/Motown album, You're The Man, in 2LP gatefold vinyl and digital editions on March 29. The album's CD release will follow on May 10. 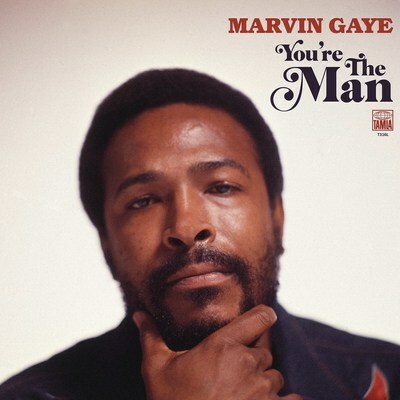 You're The Man features all of Gaye's solo and non-soundtrack recordings from 1972, with most of the album's tracks making their vinyl release debuts. SaLaAM ReMi's new mix of the album track "My Last Chance" is available now for streaming and for immediate download with album pre-order. Click Link Below. Michael Henderson Kicks Off New Year As Panelist for Miles Davis' Electric Era Bands! Michael Henderson to Celebrate 50th Anniversary at America's Legendary Music Hall! The Birchmere!